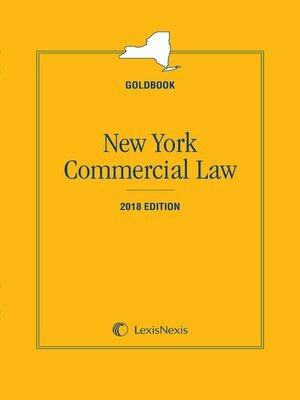 ​Complete text of NY Uniform commercial Code (with NY Annotations and Official Comments) and NY General Obligations Law in handy 1-volume pamphlet format. Includes section histories identifying the enacting/amendatory legislation relating to each section. Also includes NY Supreme Court listing alphabetically by county. Integrated topical Index.